Matthieu David is founder and CEO of Daxue China Market Research, a China-based market research firm focusing on China. Matthieu has been living in China (Beijing, Hong Kong, and Shanghai) for close to six years, working in finance, startups, and market research companies. Find him on Twitter as @DaxueConsulting or on LinkedIn. Tech in Asia has covered App Annie pretty extensively on its journey, product, and funding news. 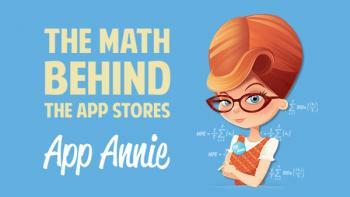 For those who are unfamiliar, App Annie is a data analytics tool for game and app developers that was launched as a free service in 2010. The company was founded in 2011 by Bertrand Schmitt. It provides three main services, including analytics, store stats, and business intelligence. These products provide publishers with data on downloads, rankings, revenue, reviews, and more, to help them learn about the performance of their own and competitors’ apps. App Annie recently raised $15 million with Sequoia Capital as lead investor, for a total of $22 million raised from the start. In my recent interview with Bertrand, he discussed what it is like to start a tech company in China and spoke about his firm’s last fundraising efforts. What are you going to do with this funding? Bertrand: One side is expanding our sales and marketing presence globally, country by country. We have already expanded in a few countries and we want to expand in a few more cities. This expansion is really sales, customer support, as well as marketing. And really to keep working on new products. So we are working on quite a few new products but we stay very close to what we have been doing in the sense that we don’t plan on becoming anything else than a data provider, a market data provider. So we always focus on data about your own apps and other people’s apps as well as the industry trends. We already support in some ways different platforms like not just the mobile, Google Play and iOS. We support Mac, and the Windows store. It’s not just mobile apps. So it’s tablets and mobile devices? Bertrand: It’s smartphones, tablets, and PC/Mac. And the Windows store, it’s the Windows store you get with Windows 8. So we see ourselves at the center of a new revolution in how you distribute content. Mobile apps and iOS were really the first distribution channels for mobile content. Actually, you could argue that it was iTunes that really started this. I think, surprisingly, not enough people followed this model fast enough, and I think step by step it’s overtaking the industry. You don’t distribute anymore through web sites, but through an app store. It’s providing new discovery, providing new distribution, providing new monetization and I think this is key. We care about how you distribute content. Our focus again is to provide great market data. These new platforms are really international, so I think that is a big difference. In the past, if you are looking at content, if you wanted to know music sales in France, you had to go to GFK for instance, but if you wanted that in the US you had to go to NPD. Every region or country had its own specific providers because all of the retail channels were very different. Now the retail channels are Apple’s App Store, Google Play, Amazon AppStore, and Microsoft. So it’s really global platforms. Why do you feel China is good for when you start a business? Is it a good country to start an online business? Where do you think is the best country to start in? Bertrand: At least for a business-to-business (B2B) operation, it is relatively easy to start from anywhere, as B2B customers are not so different from country to country. For us, we started in China but are focused on the global market. If you start your business in Finland or in Israel, it’s a small country and you are forced to go outside. Being started by foreigners in China, App Annie was in the international market because the Chinese market was too small for our type of business. I believe that in B2B, you have to go international from the very beginning to find customers. I don’t know if China was the best place for starting, but it offered an interesting combination of the ability to recruit the right people and not too expensive for starting operations, especially compared to countries like France. Surprisingly, China has relatively easy legislation. So I think it has a lot of benefits. Beijing manages to keep attracting a lot of international people, and at least in Beijing and Shanghai, it’s not just local people. For an international business, that’s important. So this part was good for us, in terms of attracting talented international people. If I go back to the fact that China was such a small market initially, it avoided the mistake of many French companies, where the market is not so small and you aren’t forced to expand out of the French market so quickly. Then you never leave, the best you do is Luxembourg and Belgium, and this is of course not enough. If you focus on your costs and just stay in the French speaking market, it will be way too small. I think that it is a trap. France is not so small so it doesn’t push you out too quickly. It’s big enough that you can feel comfortable at least initially. Then you constrain yourself, there are lost opportunities. So I think it’s something to be very careful of. There is not so much B2B internet or software business in France these days. Companies don’t understand technology fast enough. I’ve seen questions from companies in France that we didn’t get from any of our big Japanese and American customers. So I think starting a business is tough in France. You need buyers, and when you get a customer it’s smaller than you can get in the US or Japan. A lot of companies have trouble going into China when they have conquered the world. Bertrand: For me, in terms of choice of where to start I preferred China because you can have a market in China at some point. Initially, you might not have some big business but eventually it will be there. And if you are pretty local, it will help you. You understand more of the market. Whereas most companies, they don’t know China, they don’t understand China. They might have just a few people there. But at the same time, we are a B2B business and luckily for us China regulations are very focused on the business-to-consumer (B2C) side where you have to be more careful. But being a B2B business, the way people work in China, Russia, Europe, Japan, America, it is not so different business-wise. The people I talk to, there are local differences, no question, but it is not so big as if you focus on the consumer market. The consumer market, is very, very different, country by country. Which countries are for you the most proper to develop a business leveraging a pool of developers? Bertrand: The United States and China. Japan is pretty good as well. They have a few local giants. You have quite a few companies that have managed to be big in Japan, but in a smaller way than the US. Facebook is becoming more and more popular there. In a way, in China, there is competition, because they are training their workforce well, China is working on this stuff, and is protected from American competition to some extent. Whereas if you are a French guy staying in France, where are you working on big internet projects? I’m talking about something where you have more than 5,000 people. So the United States is the biggest software industry in the world? Bertrand: No question, but I think China might be number two now. When I say software, it’s more Internet services, where I think the experience of building scalable platforms that go on the technical side is pretty unique. Ventes Privees might be one of the few really good local success stories. That’s one of the reasons I left France, because every time you go on scale in France and go on scale in Europe, your American competitors will already have dominated the US market faster than you have. They have less costs, more revenues, because it is much easier to scale in the US. The post App Annie CEO Bertrand Schmitt on starting up in China, scaling, and new funding appeared first on Tech in Asia.